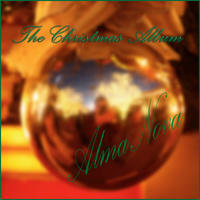 AlmaNova : The Christmas Album. Enjoy the holidays even more with the soothing sounds of flute and guitar. In this album, AlmaNova delivers haunting beautiful original arrangements of some of the greatest Christmas Carols of all time. World-renowned flute and guitar duo, AlmaNova, brings extra cheer to the holiday season with their latest release, The Christmas Album. This brilliant recording features original arrangements of some of the time-honored Christmas classics. AlmaNova's unique style and melodic virtuosity makes this recording a beautiful addition to your Christmas and Holiday music collection. This album features "Gabriel's' Message" in 7/8, "We Three Kings" with a flamenco flare, as well as "Silent Night" accompanied by a beautiful guitar tremolo. Enjoy this special album amongst friends and family this holiday season! License Lively flute/guitar duo by AlmaNova for your project. Play the music of AlmaNova in your restaurant or store.